The Chemistry and Aerosol Mediterranean Experiment (ChArMEx) special issue will be simultaneously presented in the ACP and AMT journals. It aims at gathering experimental and modelling contributions to the field of atmospheric chemistry in the Mediterranean region and its impacts on regional air quality and climate, both in the recent past, present and future decades. It addresses natural and anthropogenic emissions of tropospheric reactive species, source apportionment, chemical transformations, transport processes, atmospheric deposition, aerosol optical properties and interactions with radiation, water vapour and clouds, variability and trends, and future conditions following climate change and increasing anthropogenic pressure. A large set of Volatile Organic Compound observations was collected for the first time in Istanbul megacity in September 2014. We carried out a source receptor approach to apportion emission sources, estimate anthropogenic emissions and evaluate emission inventories. Unexpectedly, transport was not the most dominant source. Our work stresses the need to better represent VOC emissions in the East Mediterranean region with an effort on non-traffic sources and oxygenated VOCs. 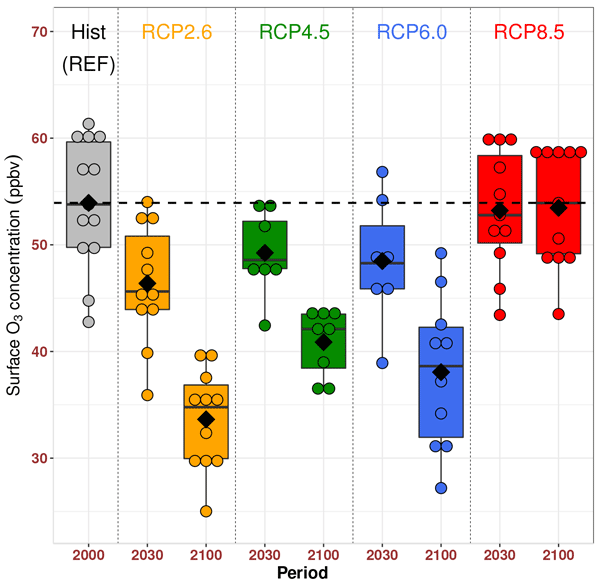 Multiple future scenario sets have been compared to reference simulations in order to assess the effects of different climate change drivers (regional climate, anthropogenic emissions, long-range transport) on the concentration of PM10 and its components. The effect of different meteorological parameters has been explored on the concentration of PM components in the case of changes due to regional climate. A cumulative impact study on the three aforementioned drivers has also been included. Using a backscatter N2-Raman lidar deployed on the western part of the French Riviera, we investigate the vertical aerosol structure below 5 km. 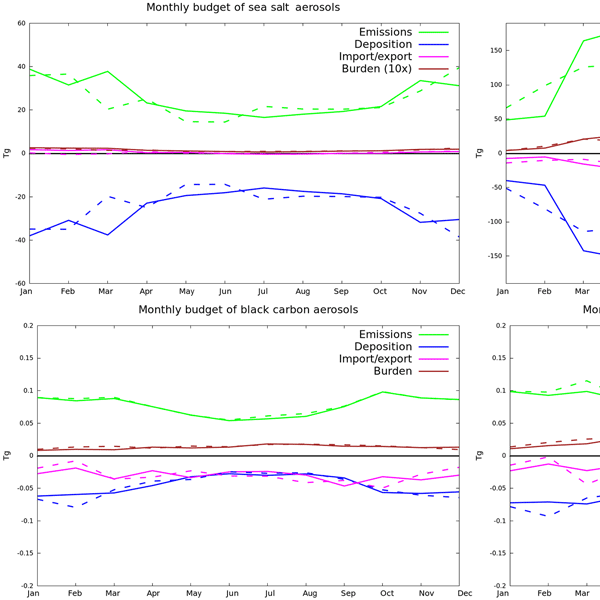 By coupling these observations with spaceborne instruments and trajectory modeling, we highlight plumes of particulate pollutants moving towards the French Riviera. This pollution, mainly due to traffic and petrochemical activities, originates from the Spanish coast (Costa Blanca and Costa Brava–Daurada) and mixes with local emissions. Among the different aerosols affecting the Euro-Mediterranean region, ammonium and nitrate (A&N) aerosols are expected to have a growing impact on regional climate. In this study, these aerosols have been introduced in the prognostic aerosol scheme of the ALADIN-Climate regional model. 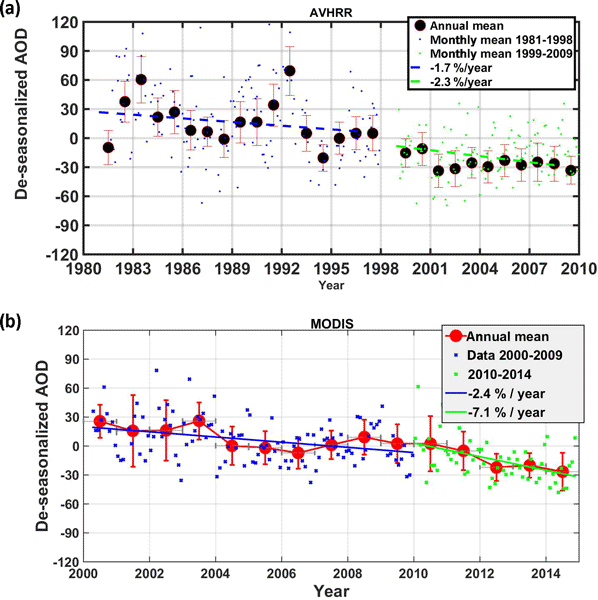 Results show that since 2005 over Europe, A&N aerosol optical depth is higher than sulfate and organics and they are responsible for a cooling of about −0.2 °C over Europe during summer. We present findings from a summertime field campaign at the remote island of Lampedusa in the central Mediterranean Sea. We show that the aerosol loading is similar to coastal sites around the Mediterranean. We observe higher loadings of sulphate and aged organic aerosol from air masses transported over the central and eastern Mediterranean in comparison to those from the western Mediterranean. These results highlight the rarity of pristine air masses, even in remote marine environments. New particle formation (NPF) is an important source of atmospheric aerosols. For the Mediterranean atmosphere, only few studies exist. In this study we present one of the longest series of NPF by analyzing 10 years of data from Crete, Greece. NPF took place on 27 % of the available days; it was more frequent in spring and less so in late summer. Model simulations showed that NPF in the subtropical environment may differ greatly from that in the boreal environment. The influence of mineral dust in the direct radiative effect is affected by a large uncertainty. This study investigates mineral dust radiative properties during an episode affecting southern Spain in June 2013 by using remote sensors and data collected on board an aircraft to feed a radiative transfer model. The study reveals the complexity of parameterizing these models, as characterizing mineral dust is still quite challenging, and the need for accurate mineral dust measurements. Aerosol particles from natural and anthropogenic sources are climate regulators as they can counteract or amplify the warming effect of greenhouse gases, but are difficult to observe due to their temporal and spatial variability. Satellite sensors can provide the needed global coverage but need validation. In this paper we explore the capability of the POLDER-3 advanced space-borne sensor to observe aerosols over the western Mediterranean region. This work presents time-resolved data of non-methane hydrocarbons (NMHC) from automatic chromatographs, measured over a period of 5 months in the greater Athens area. The measured concentrations are higher relative to other recent studies for the majority of NMHCs. A remarkable day-to-day variability is also observed. The contributions from traffic and residential heating to NMHCs are investigated, as they were the major sources impacting the air quality during the study period. This study presents the first measurements of ambient methylglyoxal, an important atmospheric α-dicarbonyl, using proton transfer reaction time-of-flight mass spectrometry. These measurements mostly agree with concomitant measurements from a reference technique: the DNPH derivatization technique and high-performance liquid chromatography with UV detection. In addition, a careful investigation of the differences between the two techniques is carried out to explain the disagreements observed. Atmospheric deposition is known to be a major source of nutrients for the marine biosphere in the Mediterranean Sea. The study of the origin of nutrients and trace metals in Corsica presented here shows that the dust events were the major sources of Si and Fe. Conversely, combustion sources predominated the inputs of N, P, and trace metals. This work showed the importance of considering background anthropogenic deposition for estimating the impact of atmospheric forcing on marine biota. A long-term estimation of the chemical composition of PM2.5, a chemical mass closure exercise, and the source identification of particulate matter took place at an urban background site of central Athens, allowing us to further assess the impact of residential heating as a source of air pollution over Athens. PM2.5, EC, POM, NO3-, C2O42-, nssK+, Pb, and Cd were increased by up to a factor of 4 at night compared to during the day, highlighting the importance of heating on air quality in Athens. This work focuses on the study of the sources and fates of BVOCs and new particle formation (NPF) events in the eastern Mediterranean. NPF events were found on 14 out of 20 days of the campaign. NPF occurred at various condensational sinks and both under polluted and clean atmospheric conditions. Analysis of specific NPF periods of the mixed influence type highlighted that BVOC interactions with anthropogenic compounds enhanced nucleation formation and growth of new particles. 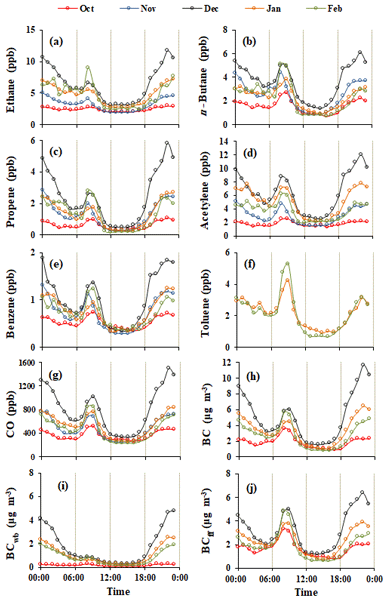 Contribution of biomass burning versus fossil fuel use on wintertime air pollution is investigated based on continuous surface measurements of black carbon (BC) and carbon monoxide (CO) at a suburban and an urban background monitoring sites in Athens. 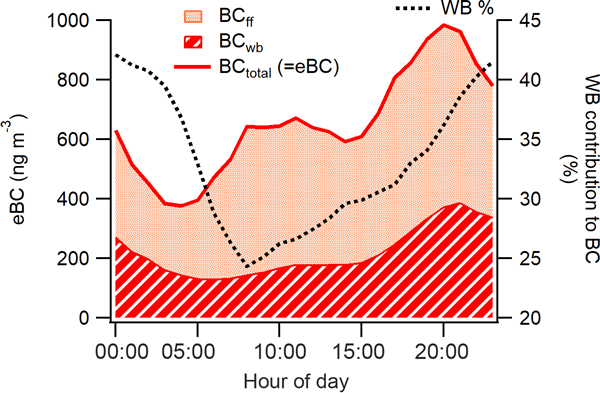 Fossil fuel combustion is found to be the major contributor to both BC and CO ambient concentrations. However, wood burning used for domestic heating makes a significant contribution of about 30 and 15 % to the observed BC and CO levels. Fine particulate matter (PM) in the atmosphere is of concern due to its effects on health, climate, ecosystems and biological cycles, and visibility. These effects are especially important in the Mediterranean region. In this study, the air quality model Polyphemus is used to understand the sources of inorganic and organic particles in the western Mediterranean and evaluate the uncertainties linked to the model parameters and hypotheses related to condensation/evaporation in the model. The Mediterranean Basin, surrounded by three continents with diverse pollution sources, is particularly sensitive to climate change due to its location and diversity of ecosystems. In this work, we investigate the future change of surface ozone from 2000 to 2100 over this region using a set of atmospheric model outputs and ground-based observations. We also highlight how the future climate change and the increase of methane concentrations can offset the benefit of the pollution reduction policy. The long-term (2002–2016) variability of global and diffuse PAR over the central Mediterranean is investigated based on measurements from Lampedusa. PAR modulates biological processes and this study provides useful insight into its variability. Seasonal and interannual variability of global and diffuse PAR is characterized and the effects of clouds are quantified. The analysis suggests that 77 % of the global PAR interannual variability may be ascribed to clouds. In this work, four schemes for the simulation of organic aerosols in the western Mediterranean basin are added to the CHIMERE chemistry–transport model; the resulting simulations are then compared to measurements obtained from ChArMEx. It is concluded that the scheme taking into account the fragmentation and the formation of nonvolatile organic aerosols corresponds better to measurements; the major source of this aerosol in the western Mediterranean is found to be of biogenic origin. The focus of these experiments, within the ChArMEx project, were to better understand the chemical properties of ambient aerosols over the Mediterranean region. A series of airborne measurements were performed aboard the French research aircraft, the ATR42, during the summer period. Aerosol and gas-phase chemical mass spectrometry allowed us to understand the sources and formation of organic aerosols. Numerical models were incorporated into this study to help interpret our observations. The Mediterranean Basin still suffers from a limited amount of in situ measurements for a good characterization of its environmental state. This study shows that intercontinental transport of very high CO concentrations can affect the upper Mediterranean Basin troposphere. By using modeling, 5- to 12-day eastward transport of biomass burning starting from North America and Siberia impacts the mid-troposphere of the Mediterranean Basin. This study examines how different aerosol optical properties determine the dust longwave radiative effects at the surface, in the atmosphere and at the top of the atmosphere, based on the combination of remote sensing and in situ observations from the ground, from airborne sensors, and from space, by means of radiative transfer modelling. The closure experiment is based on longwave irradiances and spectral brightness temperatures measured during the 2013 ChArMEx–ADRIMED campaign at Lampedusa. 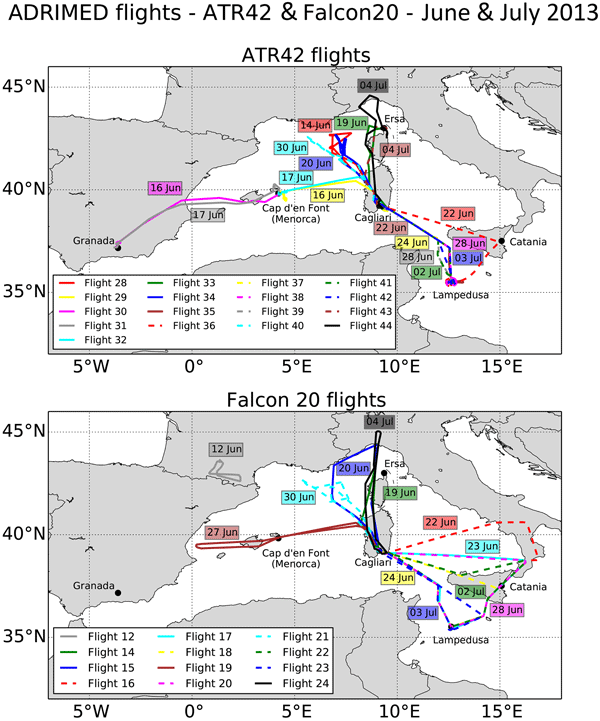 A campaign was performed in the summer of 2013 above the Mediterranean basin, including in situ counting balloon-borne aerosol measurements (LOAC), for the detection of mineral dust. Three modes in the dust particle volume size distributions were detected, at roughly 0.2, 4, and 30 mm. Particles larger than 40 mm were often observed. They were lifted several days before and their persistence after transport over long distances is in conflict with dust sedimentation calculations. Atmospheric samples of water-soluble organic nitrogen (WSON) obtained over the eastern Mediterranean have been investigated. Aerosol WSON concentrations exhibited large temporal variation, mainly due to rain and the origin of airflow. WSON originated from agricultural activities, secondary aerosol, nitrate, crustal material and sea salt. In the Cilician Basin, the WSON flux would sustain 33 % and 76 % of the new production of the plant-like organisms in coastal and open waters, respectively. The National Observatory of Athens has been collecting solar radiation, sunshine duration, and cloud and visibility data/observations since the beginning of the 20th century. In this work we present surface solar radiation data since 1953 and reconstructed data since 1900. We have attempted to show and discuss the long-term changes in solar surface radiation over Athens, Greece, using these unique datasets. In the present paper, we quantify sea-to-air emission fluxes of aerosol to the atmosphere and characterize their physical and chemical properties as a function of the seawater biochemical and physical properties. Fluxes are evaluated with an original approach, a "lab in the field" experiment that preserves the seawater and atmospheric complexity while isolating air-to-sea exchanges from their surroundings. 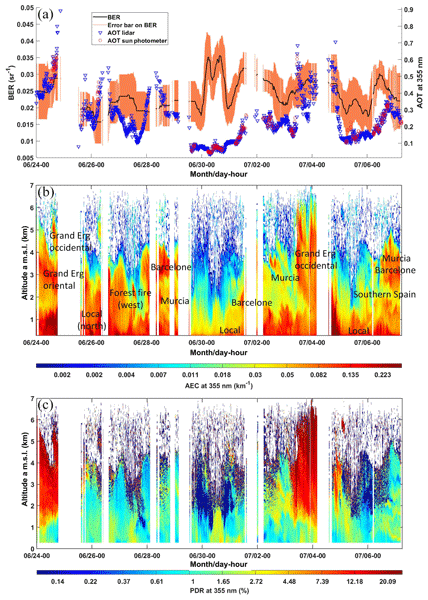 We show different features of the aerosol emission fluxes compared to previous findings. In this study, vertical profiles and column integrated aerosol properties retrieved by GRASP (Generalized Retrieval of Atmosphere and Surface Properties) algorithm are evaluated with in situ airborne measurements made during the ChArMEx-ADRIMED field campaign in summer 2013. Differences between GRASP retrievals and airborne extinction profiles are in the range of 15 to 30 %. Also, the total volume concentration differences between in situ data and GRASP retrieval ranges from 15 to 36 %. Our paper presents results of hydroxyl radical (OH) reactivity from a field study conducted during summer 2013 in a western Mediterranean coastal site (Corsica, France). Here, the total OH reactivity, measured with the comparative reactivity method, is compared with the summed OH reactivity from the reactive gases measured with a multitude of different technologies. Our results demonstrate the relatively high observed reactivity and the large impact of biogenic compounds. 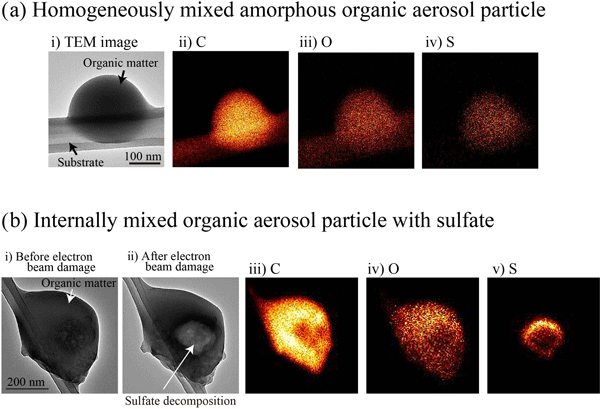 This study evaluates the potential of using only aerosol optical depth measurements to characterise the microphysical and optical properties of atmospheric aerosols. With this aim, we used the recently developed GRASP algorithm. The practical motivation for the present study is the large amount of optical-depth-only measurements that exist in the ground-based networks. The retrievals could complete an existing data set of aerosol properties that is key to understanding aerosol climate effects. An intensive field campaign was conducted in March 2015 in the Eastern Mediterranean region, at a background site of Cyprus. We performed a detailed analysis of the chemical composition of air masses in gas and aerosol phase, and we applied a source apportionment analysis in order to identify the various origins of VOCs. The results suggest that VOCs are mainly of biogenic and regional background origins. New particle formation (NPF) from gas-phase precursors is a process that is expected to drive the total number concentration of particles in the atmosphere. Here we use measurements performed simultaneously in Corsica, Crete and Mallorca to show that the spatial extent of the NPF events are several hundreds of kilometers large. Airborne measurements additionally show that nanoparticles in the marine atmosphere can either be of marine origin or from higher altitudes above the continent. The ChArMEx SOP2 field campaign took place from 15 July to 5 August 2013 in the western Mediterranean Basin at Ersa, a remote site in Cape Corse. Exhaustive descriptions of the chemical composition of air masses in gas and aerosol phase were performed. An analysis of these measurements was performed using various source-receptor approaches. This led to the identification of several factors linked to primary sources but also to secondary processes of both biogenic and anthropogenic origin. Over a period of 5 days (summer 2013), the mass concentration of primary marine aerosols was dominant compared to other aerosols measured at a ground-based measuring site on Corsica. The characteristics of primary marine aerosols such as their size distribution, their optical properties and their direct radiative effect were studied as a function of their ageing and region of emission. These characteristics were compared to two other periods dominated by different aerosol regimes. The chemical composition of individual PM2.5 particles was measured at a background site on Corsica in the Mediterranean to determine the contribution of different sources to background aerosol in the region. Most of the particles were from fossil fuel combustion and biomass burning, transported to the site from France, Italy and eastern Europe, and also accumulated other species en route. This work shows that largest impact on air quality in the Mediterranean is from anthropogenic emissions. The automatic detection of the planetary boundary layer height (PBL height) by means of lidar measurements still presents difficulties. This work shows an improvement in the PBL height detection using lidar depolarization measurements. To our knowledge, it is the first time that the lidar depolarization technique is used for this purpose. Also, the PBL height derived from the WRF model is compared with the PBL heights of this new method and from a microwave radiometer during CHARMEX campaigns. In this work we have given a contribution to better understand some of the properties of the desert dust plumes in the western Mediterranean, using both direct measurements and satellite observations. This study has mainly evidenced that satellite observations can provide information about the geographical provenance of dust. This is important because such variability is reflected in the way in which dust interacts with atmosphere and impacts over the observed infrared radiation from satellites. The paper aims to implement a specific strategy to target the aerosol due to ship emissions. PM10 is collected south and north of the main shipping route through the Mediterranean. Other than ions and metals the analysis is complemented with measurements of rare earth elements, trajectories from a high resolution regional model and actual observations of ship traffic. The combination of these approaches allows for unambiguous identification of the ship contribution (8–11 % of PM10) in this area. We used detailed speciated measurements of VOCs (volatile organic compounds) to evaluate the spatial heterogeneity of VOC urban emission composition and the consistency of regional and global emission inventories downscaled to Lebanon (EMEP, ACCMIP, and MACCity). The results suggest that systematic and detailed measurements are needed in the eastern Mediterranean Basin in order to better constrain emission inventories. Boundary-layer pressurised balloons allow for horizontal multi-day flights in the lower atmosphere, carrying light scientific payloads. Ozonesondes, usually used for balloon soundings have too short a lifetime for such flights. An adaptation is proposed, whereby conventional sondes are operated with short measurement phases alternating with longer periods of dormancy. The sondes were operated over the western Mediterranean, offering an original perspective on tropospheric ozone. EOF analysis is used to link the north African atmospheric dust cycle, particularly active dust source regions, dust emission fluxes, dust transport pathways towards the Mediterranean Sea and Europe as well as dust deposition rates with atmospheric circulation regimes, such as position and strength of the subtropical ridge and the Saharan heat low. The aerosol is modelled during the summer 2013 with the WRF and CHIMERE models and over a large area encompassing Africa, Mediterranean sea and west Europe. The modelled aerosol is compared to available measurements such as the AERONET and EMEP networks. The model ability to estimate the aerosol speciation and size distribution is quantified. 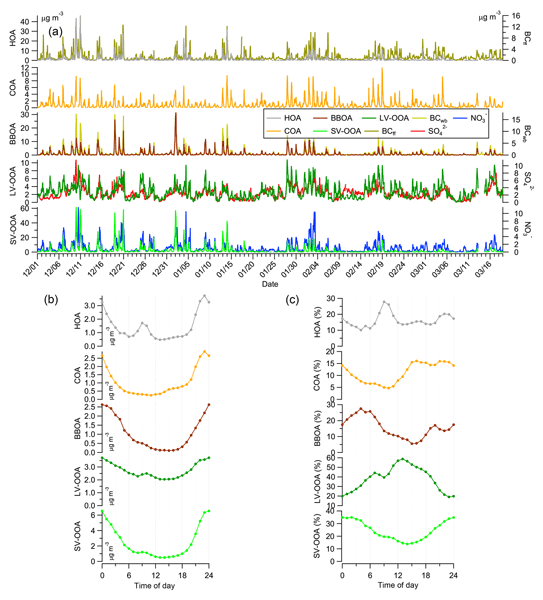 The seasonal variability of the aerosol optical, microphysical and radiative properties at three insular sites in the western Mediterranean Basin is presented. The main drivers of the observed annual cycles and NE–SW gradients are mineral dust outbreaks in summer and European continental aerosols in spring. The lack of NE–W gradients of some aerosol properties is attributed to a homogeneous spatial distribution of the fine particle load and absorption low values in the southwesternmost site. 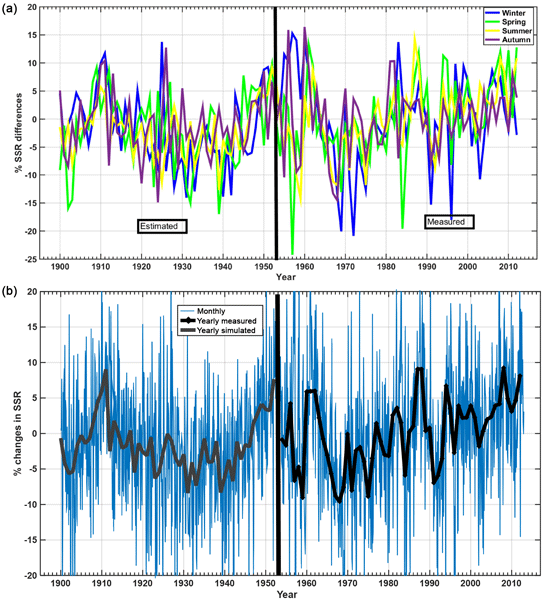 Historical time series are unique sources of information for past climate and atmospheric composition change. 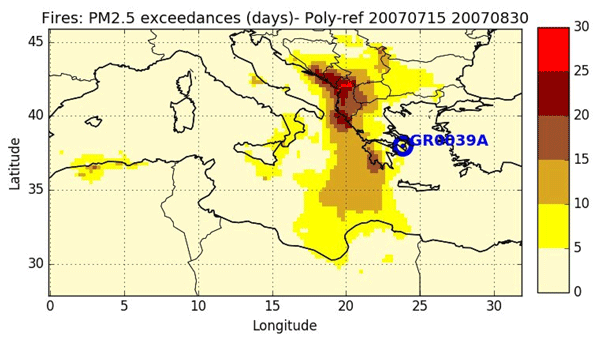 The 82-year time series of visibility data collected at the National Observatory of Athens (NOA) was an excellent proxy for the long-term evolution of particulate pollution in the eastern Mediterranean, at times when direct aerosol measurements were missing. 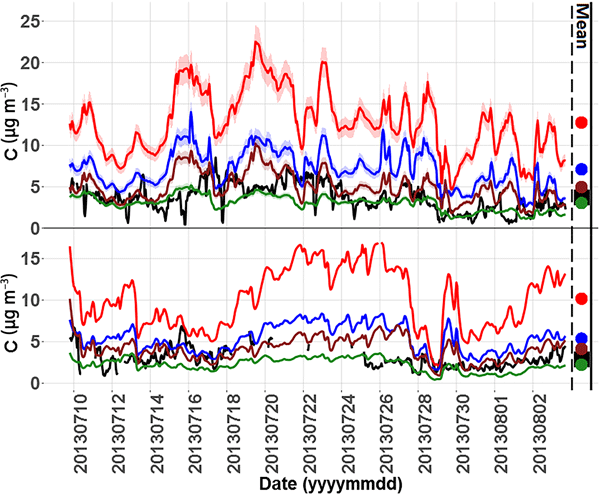 Evolution of particulate pollution of both local and regional origin is nicely reflected on visibility records of NOA. Pollution aerosols strongly influence the composition of the Western Mediterranean, but at present little is known on their optical properties. Here, we report observations of pollution aerosols measured during the TRAQA airborne campaign in summer 2012. Data from this study indicate a large variability of the absorption for pollution particles. This variability strongly influences their direct radiative effect, with possible consequences on the hydrological cycle in this part of the basin. We illustrate the first Light Optical Aerosol Counter (LOAC) airborne results obtained from an unmanned aerial vehicle (UAV) and a variety of scientific balloons: tethered balloons deployed in urban environments, pressurized balloons drifting in the lower troposphere over the western Mediterranean during the Chemistry-Aerosol Mediterranean Experiment (ChArMEx), and meteorological sounding balloons launched in the western Mediterranean region and in the south-west of France. To investigate dust deposition dynamics at the regional scale, five automatic deposition collectors named CARAGA have been deployed in the western Mediterranean basin (Lampedusa, Majorca, Corsica, Frioul and Le Casset) during 1 to 3 years depending on the station. Complementary observations provided by both satellite and air mass trajectories are used to identify the dust provenance areas and the transport pathways from the Sahara to the stations for the studied period. 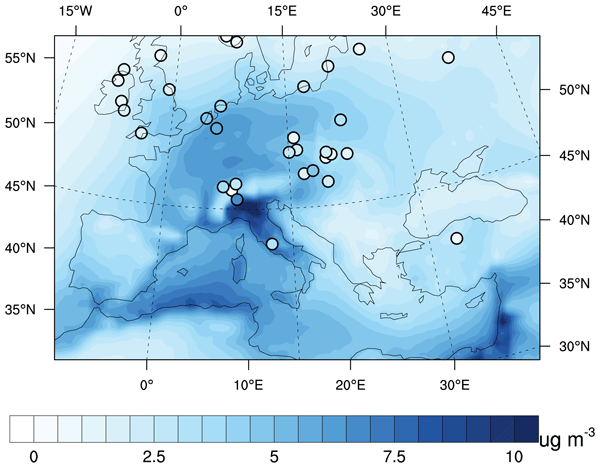 This study presents the 3-D structures of intense Mediterranean desert dust outbreaks, over the period Mar 2000–Feb 2013. The desert dust (DD) episodes are identified through an objective and dynamic algorithm, which utilizes satellite retrievals (MODIS, TOMS and OMI) as inputs. The performance of the satellite algorithm is evaluated vs. AERONET and PM10 data. The geometrical characteristics of the identified DD episodes are analyzed using the collocated CALIOP profiles as a complementary tool. Coupled balloon-borne observations of Light Optical Aerosol Counter (LOAC), M10 meteorological GPS sondes, ozonesondes, and GPS radio occultation data are examined to identify gravity-wave (GW)-induced fluctuations on tracer gases and on the vertical distribution of stratospheric aerosol concentrations during the 2013 ChArMEx campaign. Observed mesoscale GWs induce a strong modulation of the amplitude of tracer gases and the stratospheric aerosol background. BBOA from long-range transport exhibits increased CCN concentrations for particles larger than 100 nm. At the same time the hygroscopicity parameter decreased for all particle sizes, as sub-100 nm particles appear to be richer in less hygroscopic organic material, while larger particles become less hygroscopic due to condensation of less hygroscopic gaseous compounds. Finally, atmospheric processing of freshly emitted BBOA to more oxidized organic aerosol can result in a 2-fold increase of κ. This study provides a detailed overview of the Mediterranean region regarding aerosol microphysical properties during the ChArMEx/EMEP campaign in July 2012. An in-depth analysis of the horizontal, vertical, and temporal dimensions is performed using LIRIC, proving the algorithm's ability in automated retrieval of microphysical property profiles within a network. A validation of four dust models is included, obtaining fair good agreement, especially for the vertical distribution of the aerosol. We combine plume dispersion and radiative transfer modelling, and satellite and surface remote sensing observations to study the regional influence of a relatively weak volcanic eruption from Mount Etna (25–27 October 2013) on the optical/micro-physical properties of Mediterranean aerosols. Our results indicate that even relatively weak volcanic eruptions may produce an observable effect on the aerosol properties at the regional scale, with a significant impact on the regional radiative balance. LOAC is a light aerosols counter for performing measurements at the surface and under all kinds of atmospheric balloons. LOAC performs observations at two scattering angles. The first one at 12° is insensitive to the refractive index of the particles; the second one at 60° is strongly sensitive to the refractive index. By combining the measurements, it is possible to retrieve the size distribution between 0.2 and 100 micrometeres and to estimate the nature of the dominant particles. 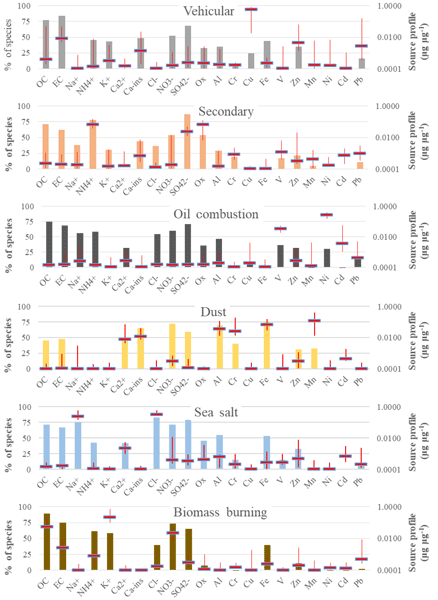 A multi-lidar analysis conducted in the Mediterranean basin compares the impact of the long-range transport of North American biomass burning aerosols with the role of frequently observed Saharan dust outbreaks. This paper provides a detailed analysis of the potential North American aerosol sources, their transport to Europe and the mixing of different aerosol sources, using simulations of a particle dispersion model and lidar measurements of the aerosol optical properties. We present a calibration method for a water vapour Raman lidar, using a meteorological probe lifted by a kite, that was applied during the HyMeX and ChArMEx programs over the Mediterranean. It allowed measuring both the overlap factor of the lidar and the calibration constant with better precision than with simultaneous balloon radiosoundings, as balloons go up faster and can drift during the measurements. Comparisons to other moisture profiles demonstrate the accuracy of the calibrated lidar. We performed synergetic active and passive remote-sensing observations at Minorca (Spain), over more than 3 weeks in spring 2013. We characterized the aerosol optical properties and type using a combination of Rayleigh–Mie–Raman lidar and sun-photometer data. Results show a high variability due to changing atmospheric transport regimes and aerosol sources. Such variability significantly influences the radiative balance through the entire atmosphere and then the climate of the Mediterranean area. 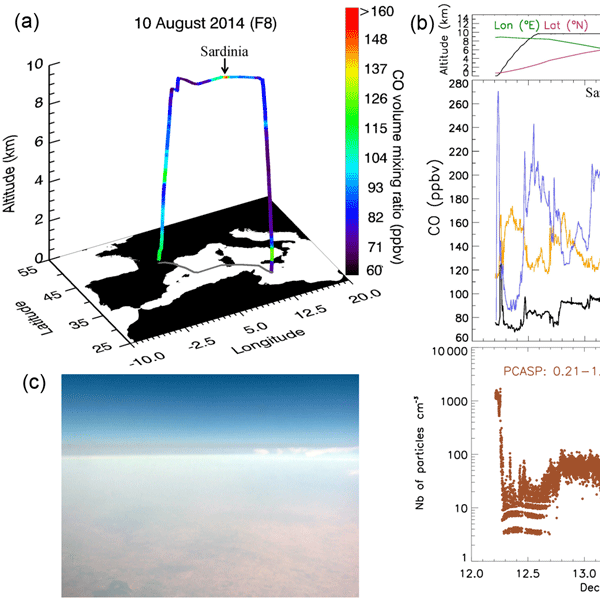 We studied the impact of aerosols on tropospheric photolysis rates at Lampedusa during the CharMEx/ADRIMED campaign in June 2013. It is shown by using the CHIMERE chemistry-transport model (CTM) as well as in situ and remote-sensing measurements that taking into account the radiative effect of the tropospheric aerosols improves the ability of the model to reproduce the observed photolysis rates. It is hence important for CTMs to include the radiative effect of aerosols on photochemistry. This study investigates the size distribution, chemical composition, and optical properties of Saharan mineral dust transported over the western Mediterranean using in situ measurements collected from aircraft. Their variability due to altitude, time of transport, and mixing rate with pollution particles are discussed. We found moderate light absorption of the dust plumes even in the presence of pollution particles and the persistence of large dust particles after transport in the Mediterranean. The aim of this article is to present an experimental campaign over the Mediterranean focused on aerosol-radiation measurements and modeling. Results indicate an important atmospheric loading associated with a moderate absorbing ability of mineral dust. Observations suggest a complex vertical structure and size distributions characterized by large aerosols within dust plumes. The radiative effect is highly variable, with negative forcing over the Mediterranean and positive over northern Africa. Our manuscript shows results of an intercomparison exercise conducted on two home built Comparative Reactivity Method (CRM) instruments operating under the same settings for measuring total OH reactivity. Despite the corrections of the raw data sets for instrumental artifacts have different weights on the two CRMs, we found very consistent results for the final processed data of ambient OH reactivity. Furthermore, we present in detail how to validate the instruments and process the raw data. Observations from this study indicate that continental pollution largely affects the atmospheric composition and structure of the Western Mediterranean basin. Pollution plumes reach 3000-4000 m in altitude and present a very complex and highly stratified structure characterized by fresh and aged layers both in the boundary layer and in the free troposphere. Also we report the observations of high levels of ultrafine particles over the basin, possibly linked to new particle formation events. The atmospheric composition was extensively studied in the Euro-Mediterranean region and during the summer 2013, in the framework of the ADRIMED project. During the campaign experiment, the WRF and CHIMERE models were used in forecast mode in order to help scientists to decide whether Intensive Observation Periods should be triggered or not. 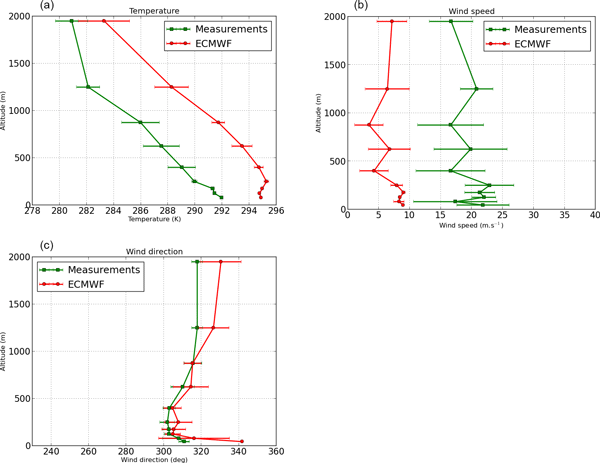 This study quantifies the origin of the forecast error by comparing several forecast leads to the corresponding measurements. An automatic collector (CARAGA) has been developed to monitor insoluble atmospheric deposition in remote areas with a large autonomy. It is used to sample total (dry and wet) deposition on Frioul Island in the Western Mediterranean Basin over which Saharan dust can be transported and deposited. To quantify the mineral dust mass in deposition samples, a weighing and ignition protocol is used. Two years of continuous deposition measurements performed on a weekly time step sampling are presented. 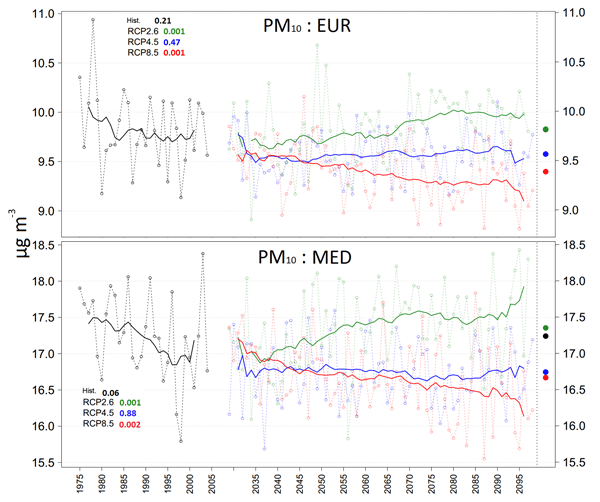 The ozone and aerosols concentrations variability is studied over the Euro-Mediterranean area during the months of June and July 2013 and in the framework of the ADRIMED project. A first analysis is performed using meteorological variables, ozone and aerosols concentrations using routine stations network, satellite and specific ADRIMED project airborne measurements. This analysis is complemented by modelling using the WRF and CHIMERE regional models.